Dream team? We think so. Together, our small but dedicated team has over 200 years of combined experience in the dental field. That's more than 73,000 days of ensuring quality treatment for each and every patient. Come, see for yourself. Owner. Fearless leader. Resident boss-lady. 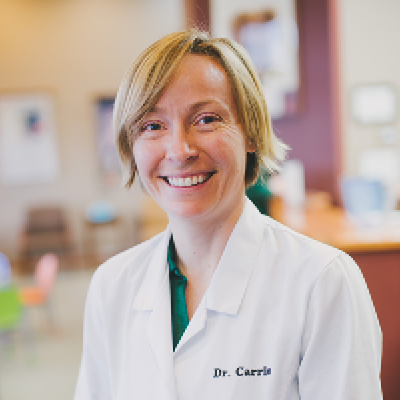 Dr. Carrie graduated from the University of Minnesota School of Dentistry in 2002. 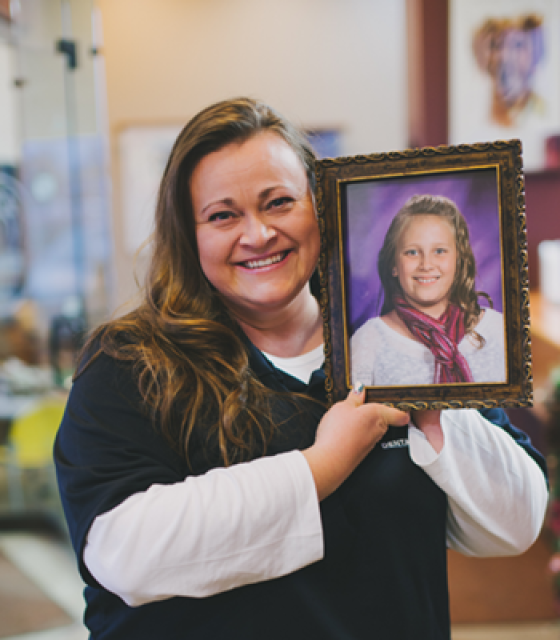 Since then, she’s stayed on top of treatment trends, best practices and technological advancements to provide each and every patient with a phenomenal experience. She’s a straight-shooter who isn’t going to sell you on treatment you don’t need. 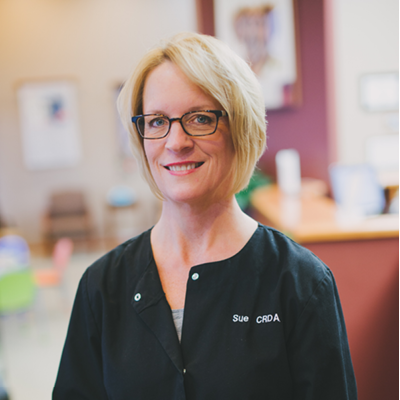 Dr. Carrie is efficient, relatable, and down-to-earth – seriously, all the qualities you want and need in someone you trust with your smile. When she’s not at the office, Dr. Carrie explores and enjoys life with her two dogs – Amos (great dane) and Portia (German shorthair pointer). She loves to travel, workout and build guitars. Trust us, she’s just as cool as she sounds. 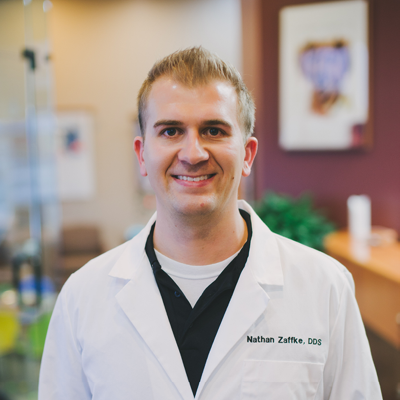 As our associate dentist, Dr. Nathan Zaffke is Dr. Carrie’s right-hand man – literally. (He is also right-handed). Homegrown in Fargo-Moorhead, Dr. Zaffke attended Moorhead High School (GO SPUDS!) and Concordia College (ROLL, COBBS!). He attended graduated school at the University of Minnesota School of Dentistry where he received his Doctor of Dental Surgery degree. 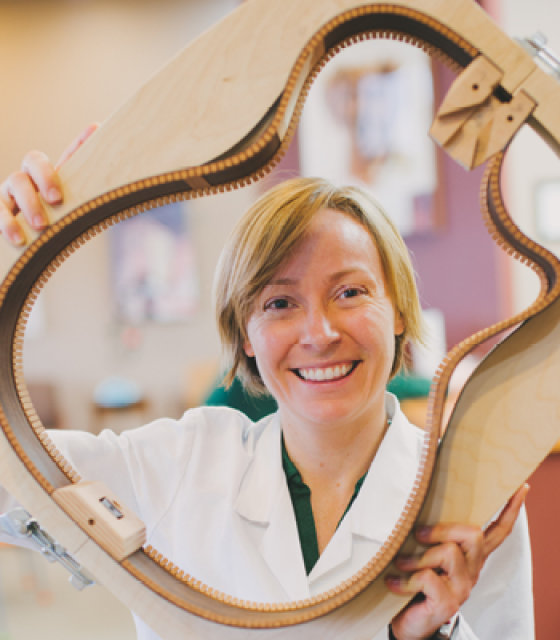 As a dentist, Dr. Zaffke is a perfectionist. He treats each patient with the same care and attention to detail as he would his own teeth. When he isn’t reading up on current trends in the dental field (seriously – he reads EVERYTHING), he spends time with his wife, Jenna, and their two cats, Sly and Honey. He also enjoys watching movies and golf. 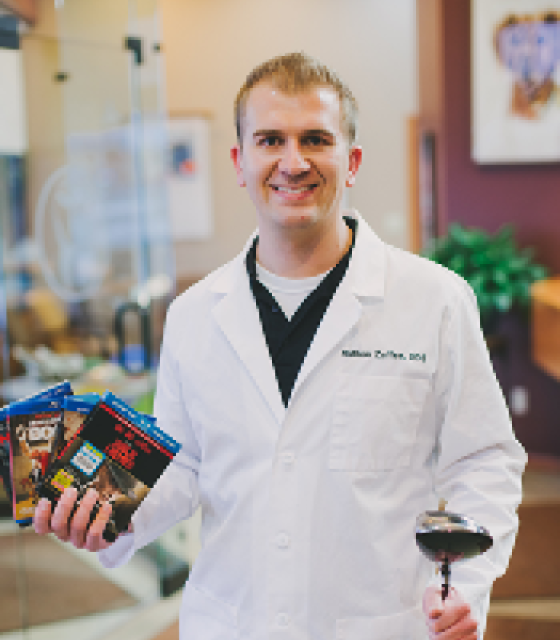 We think Dr. Zaffke is pretty great – and that says a lot, because we don’t just make stuff up. Though it’s not reflected in her official title, DeNae is our Director of First Impressions. 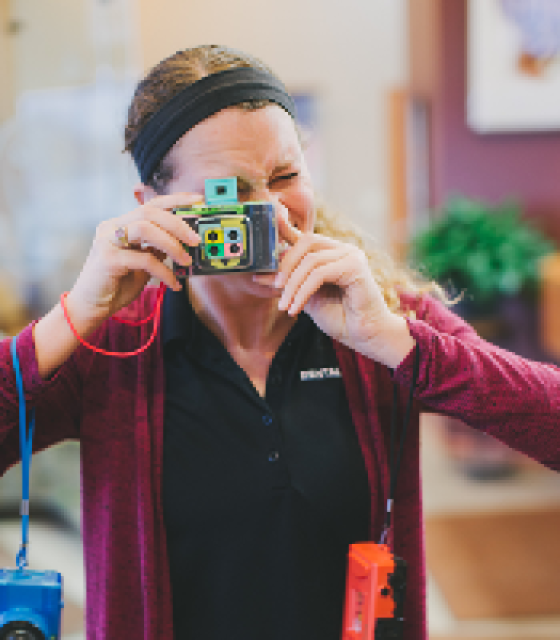 She’s one of the first faces you’ll see when you enter our office – and we can almost guarantee she’ll be smiling. Need help scheduling an appointment? Don’t understand your treatment plan? Want to talk about your pet/kid/partner or basement remodel? DeNae is your girl. 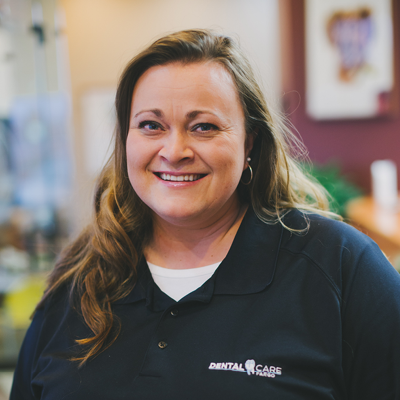 With 18 years experience, DeNae has exactly the right mix of talent and personality to ensure an awesome patient experience. When she’s not at work, she’s hanging out with her super-cool daughter, Celia, and their crazy dog, Jaeger. 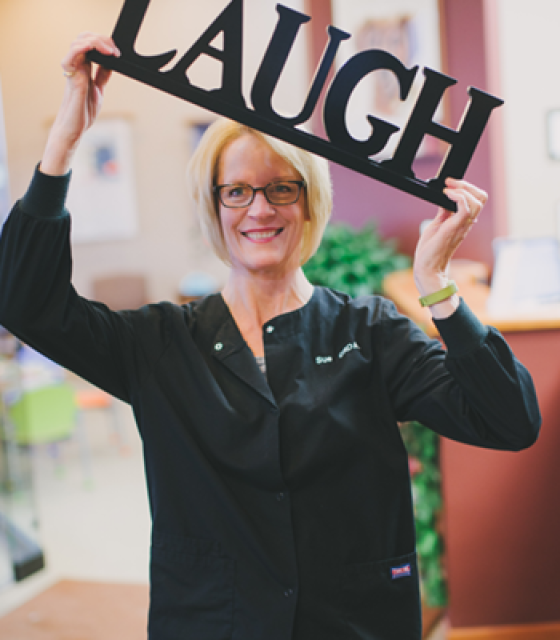 Sue’s been rocking the whole dental assistant thing since 1987 – and trust us, she’s got it down. Since she’s been assisting for so long, we sometimes joke she can read Dr. Zaffke’s mind before he says anything. Translation for you: she’s efficient, dedicated, and really good at her job. 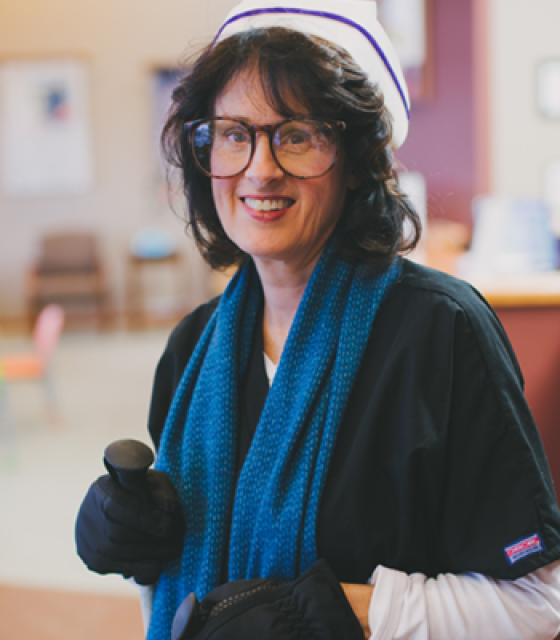 Outside the office, Sue enjoys Fargo South Jazz Band, Concert Band, the FM ACRO Team and sewing (super cute mittens are her speciality). An early-bird who gets in a 5 a.m. workout six days a week, Sue is a go-getter who spends her (limited) spare time with her husband, Greg, their two children, two stepchildren and two dogs, Miley and Buffy. 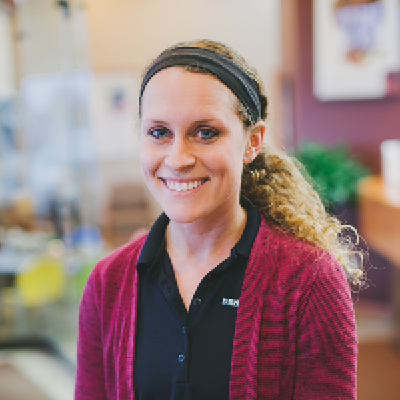 Missy G. is originally from Cumberland, RI (killer accent), so we consider ourselves lucky to have kept her on our team in Fargo since 2006. Sidenote: she may hum or sing while cleaning your teeth. 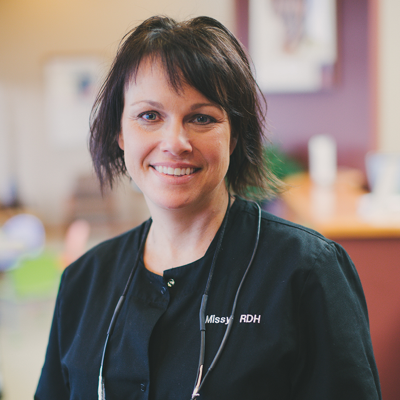 When she’s not promoting oral health, she’s hanging out with her son, Jack, and two dogs. 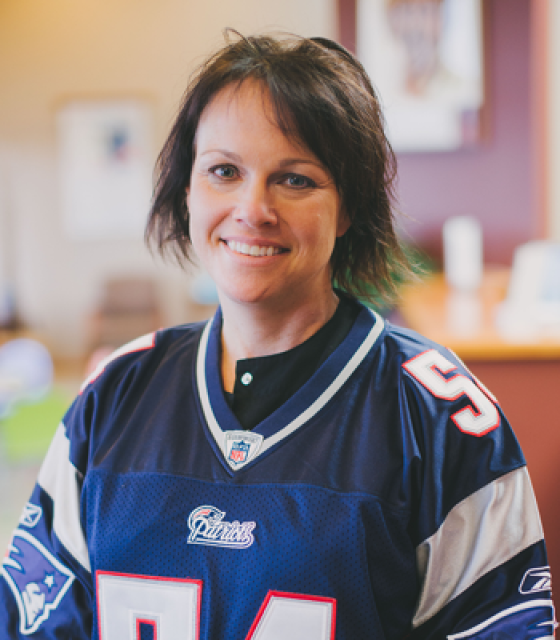 Missy enjoys following her hometown sport teams (GO PATRIOTS!) and bullying others to do the same. 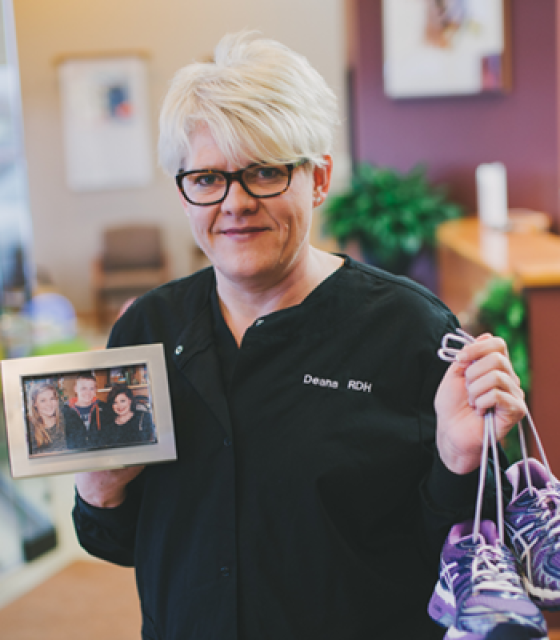 Originally from Colorado, Dawn graduated from Northwestern Colorado College’s dental hygiene program in 1981 and has called Fargo home since 1983. Dawn recently celebrated her 30th anniversary at our office and generally speaking, is a rockstar at everything she does. Dawn and her husband, Ron, have four children and one daughter-in-law. She just welcomed her first grandchild! In her spare time, Dawn loves going to movies, sporting events, concerts, and spending time with friends and family. 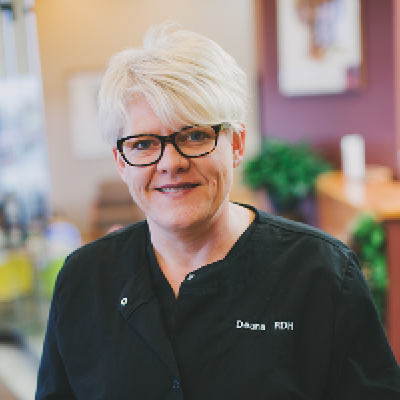 With 29 years of experience and counting, Deana is a veteran in the field of oral health. She is a native of New Rockford, N.D., she attended North Dakota State College of Sciences and graduated in 1986 with a degree in dental hygiene. 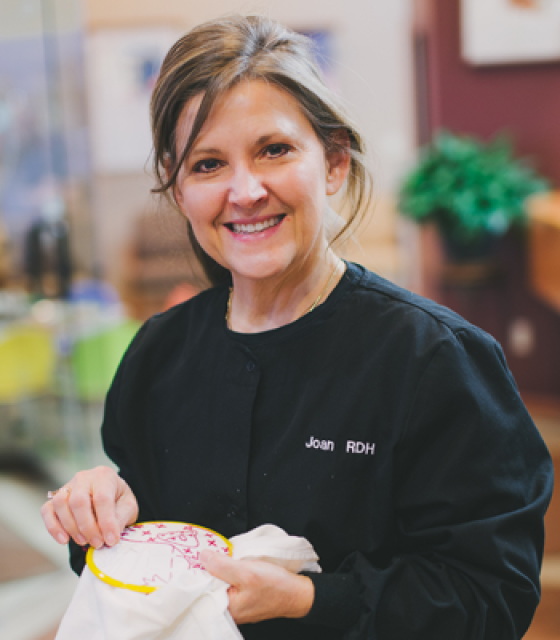 When she’s not working, she enjoys reading, crocheting, lakes country and spending time with her three great kids and two pups, Owen and Jenson. 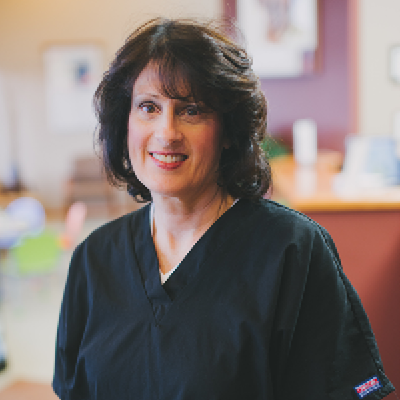 Joan has been a member of the Dental Care Fargo team since 1997. (That’s 18 years of expertise, folks). Currently, she works three days a week. When she’s at the office – she’s a Cavitron expert. Translation: your teeth will be spotless when she’s finished. 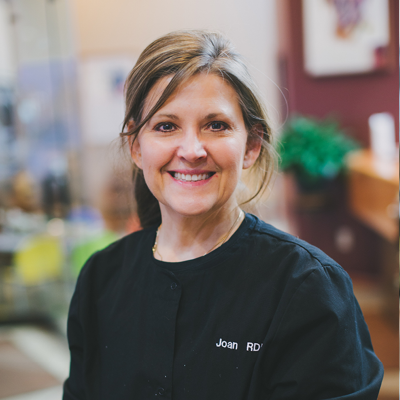 Joan and her husband Tobin have lived in Grand Forks, N.D., Wisconsin, and now are settled in Fargo, N.D. She has two sons. On her days off, she enjoys relaxing and spending time with family. Gia is our residential technical guru, responsible for marketing and community outreach. She’s also perfected the art of making coffee for a wide range of taste preferences. When she’s not at work, Gia enjoys a wide variety of multimedia freelance work – including co-founding a Fargo-Moorhead based social media startup called Tellwell. She is also an avid geocacher who enjoys travel, red wine, and blue freezies.